We’re going to have a fun little quiz today. The answer will be at the end of the post, so don’t scroll down until you’ve made your guess! Then share in the comments section whether you got it right (we know you’ll be honest). Which of these items has Luke’s tongue out in anticipation in the above photo? Now look for a hint in the photo; those of you who read the blog a lot and know my pets might pick up on it! Ready? Scroll down and Samantha will give you the answer! Now, it may have been a bit of a trick question because Luke loves every single one of those items! However, the girls don’t….so if you noticed the looks of anticipation on both Sheba’s and Cricket’s faces, you might have known it wasn’t going to be any of the fruits or veggies (Cricket likes the frozen treats, but Sheba can’t eat them). By the way, every single one of those items are a safe and healthy treat for your dog. 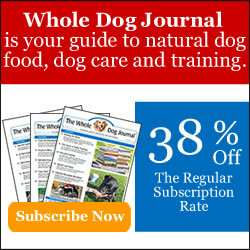 Come back tomorrow to read our review and learn more about the NEW Canine Powerstew from Only Natural Pet! hahaha I picked the beans. My guess was ALL OF THEM. We guessed beans! We thought the food may be too obvious! Teehee! cute picture. clever idea. My dogs love all of these, but I guessed right. Mom says the only thing that popped in her mind was Bailie spitting out green beans at the Red Carpet dinner! I’m sure the canned food would be the winner as every pet seems to love canned foods. Oh, that’s right….I forgot about Bailie and the green beans…that was too funny! I was thinking the same thing, he loves all of those, so hard question! hahahahaha! I was expecting to see radishes on that table!!! Ha, you’re so right about the radishes! They are gone by in the garden, but I should buy some for him! Yummy! We love everything in the photo! BOL! The food looks excellent. For some odd reason, I went with the pineapple!!! Mine love fresh fruits to pieces. I haven’t found a fruit that Luke doesn’t like yet! The girls are another story though. Sheba really likes cantaloupe but that’s about it. Unless I mix them with yogurt or put them in treats, then they like them! I picked up on the girls and eliminated the fresh fruits and veggies, but I went with the yogurt treats, I thought they all liked those. I was pretty sure Luke liked them all, cute picture. Actually, you were right there. Sheba does like the frozen treats, but weirdly they don’t like her….she can’t keep them down! So I just don’t give them to her anymore….she gets spoonfuls before I actually freeze the rest.